Unless you’re royalty, a popular celebrity, or swimming in cash, traveling still means sticking to a budget. You’ll want to maximize the buying power of your money by taking advantage of discounts and deals and also getting the best exchange rate. Aside from the aforementioned tactics, do you know that packing smartly can also help you save money? By bringing the right stuff with you on your trip, you can keep some of the costs down while enjoying your trip. 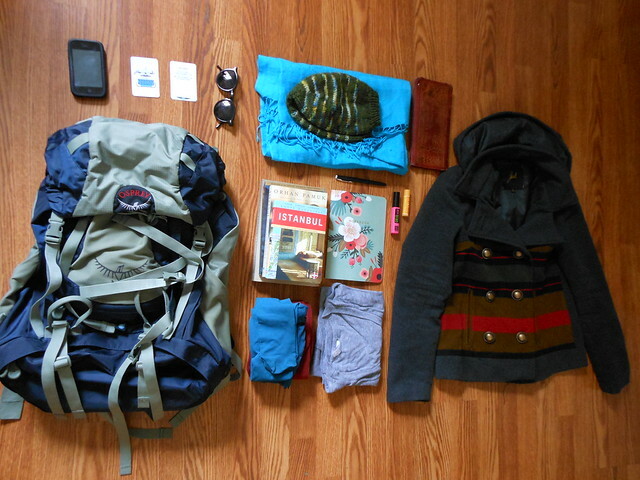 Here are some items you should be bring with you when you travel that will help you save money. Buying travel sized versions of your favorite toiletries (shampoo, conditioner, moisturizer, liquid soap) costs money; and if you look at the price/volume ratio, you end up paying more for the products. To save money, buy empty travel bottles instead and just transfer the contents from your full sized bottles into the travel bottles. You’ll save a ton of money and you haven’t even left for your trip yet. Wearing sunscreen is mandatory especially if you are going to a country with a sunny climate. But buying sunscreen at your destination is going to cost money, especially if you buy it in areas that are frequented by tourists. If you bring a large bottle of liquid sunscreen, there’s a huge chance it won’t be allowed because TSA regulations only allow a 3.4 ounce bottle, which is not enough if you’re going on vacation for more than a few days. The best solution is to buy a sunscreen stick. Sunscreen in stick form is not regulated, are cheap and you won’t have to worry about it leaking and ruining your stuff. Anyone who has had to pay overweight luggage fees know how expensive it can get. Avoid having to deal with overweight luggage by bringing a luggage scale with you. There are many portable scales that would fit in your hand. It’s also quite cheap. Considering what you can potentially save in not paying for overweight luggage fees, the price of a luggage scale is extremely worth it. This may sound like an extremely strange item to bring with you but you’ll be surprised at how much you can save by using this very versatile item. Duct tape can be used to repair a lot of things. For example, there’s a chance your checked in luggage could get damaged because of the mishandling or baggage handlers. Duct tape will allow you to repair your luggage in a jiffy instead of being forced to buy new luggage. Duct tape can also be used to cover up blisters, get rid of lint from your clothes, and, cleverly hide your wallet and other valuables in your hotel room by duct taping it under your bed. You can stuff as much as you can physically can inside your luggage as long as it meets the weight limit. To maximize the space in your luggage bring compression bags with you. Putting collapsible stuff inside compression bags and vacuuming the air out of it results in unbelievably thin bags that allows you save so much space in your bag. There are even compression bags that do not need a vacuum cleaner to work. Again, you can file this in your list of strange items to bring with you on your trip. But, like duct tape, laundry detergent can help you save a lot of money. Laundry and dry cleaning charges can be quite expensive especially if you’re staying in a hotel or a popular tourist area. Bringing laundry detergent will allow you to wash your clothes inside the bathroom, eliminating the need to pay for laundry. If you’re staying in a serviced apartment, you’ll even be luckier because this type of accommodation usually has washing machines. You won’t need to hand-wash your clothes anymore. Just pop it in the washing machine, use your laundry detergent and you’ve got clean clothes to last you for the whole vacation.